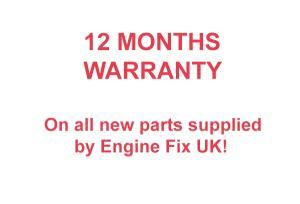 Engine Fix UK offer a wide range of tractor clutches for both Agricultural and Industrial applications. The range of clutches we offer include Single clutches, Single Clutch with independent drive for Power Take Off, Double Clutch and Double Clutch with PTO. 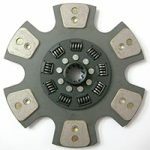 The engagement of the clutch is by a diaphragm spring load, disengagement is effected when the clutch release bearing moves the spring fingers towards the flywheel. 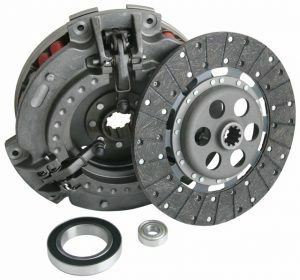 The clutch disc is positioned between the flywheel face and the clutch pressure plate and normally carries a torsion damper, these clutches are normally used on tractors in the range of 15 to 100 HP. 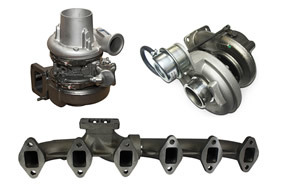 The steel housing is normally pressed steel, cast iron pressure plate which is used with sintered friction materials is very tolerant of operating temperatures up to 600 degrees C which can be evident with intermittent overload conditions. 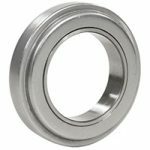 Independently Operated: here clutch engagement and disengagement are independent effected through two separate clutch release bearing mechanisms. 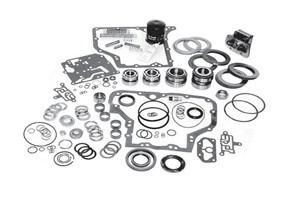 Sequentially Operated: in this design only one clutch release bearing is used, which during operation disengages the wheel drive clutch first and if required further depression of the clutch pedal will then disengage the PTO clutch second. 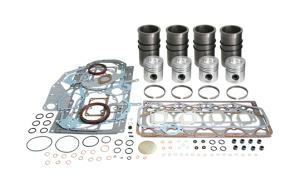 Release of the clutch pedal will PTO clutch first followed by the wheel drive clutch. 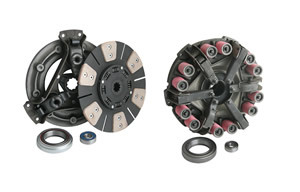 These clutches are used in tractors in the power range 15 to 100 HP with a two shaft transmission.